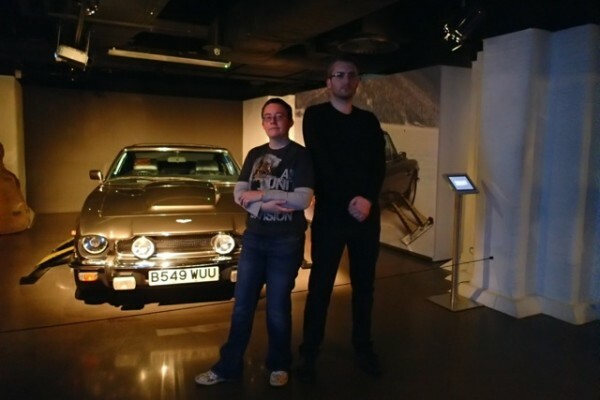 I have had wardy to stay for the weekend, largely so we could go to the Bond in Motion exhibition in Covent Garden. 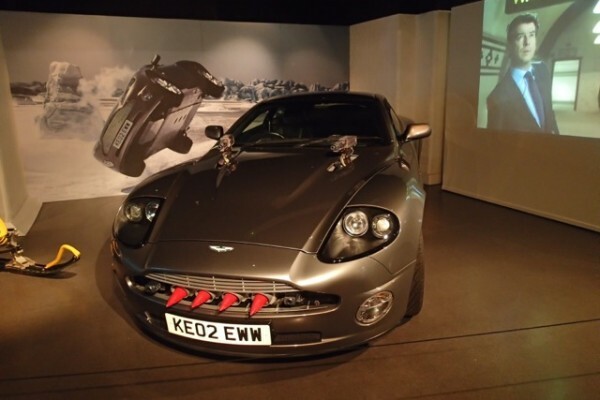 Each vehicle was showcased alongside a touchscreen displaying its stats and a screen displaying its finer film moments. There was music, there were lights (including a water effect flowing over the amphibious Lotus), and there were other props from the series, my favourite being the cello case from The Living Daylights. Exit was, of course, through the gift shop. Loved, but resisted: this poster reproducing the complete text of Casino Royale. There was also a photo station where you could don a dickey and DJ to have your image pasted into a gun barrel. As well as the exhibition, I was able to show Wardy some of the delights of my new 'hood, including dinner at the Yak & Yeti, whose name always makes me think of Tintin In Tibet, and breakfast at Antenna's, SE19's own retro diner which I'd been longing to visit since first spotting it. It was all jolly good fun! Love that last photo! Shame it probably wouldn't work as a LiveJournal icon. Thanks! The ones I took came out reasonably considering you weren't allowed to use flash. Ha - brilliant photo! You look born to Bond. I was trying to do a Roger Moore eyebrow! You guys are adorable! 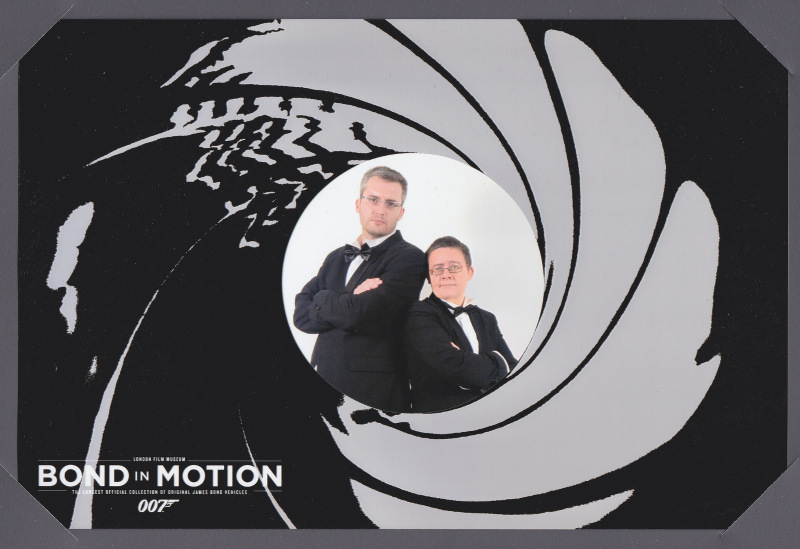 Both rockin' that classic Bond look! Cheers! It's something I have wanted to do for ages!